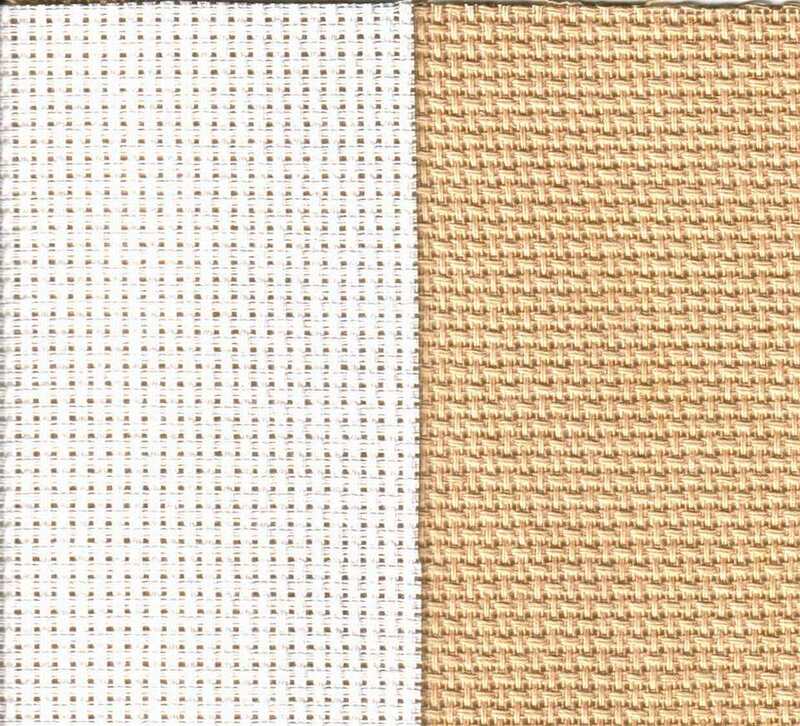 Tea-Dyed fabric has long been popular with Cross Stitchers. Tea-dyed fabric enables stitchers to create a sampler with an aged look. You can produce beautiful colors from a wide variety of teas. You can also achieve tempting warm smells with certain teas. This process is a perfect way to tempt your senses. Let's find out how to do this simple process and make wonderful one of a kind fabric for cross stitching. Use brewed tea to soak fabric, or produce a marbled effect with wet tea bags. If you are using hot tea, take the necessary safety precautions. Brew the tea. Try using a variety of teas, like Vanilla Chai tea, which will make your fabric smell wonderful! Different types of teas will produce different colors, so you may want to try some test swatches of fabric before you commit. Herbal teas will create beautiful reds, purples, and even blues. You can also get light yellows from some teas. A regular black tea will give you a nice brown color. You can make your fabric color lighter or darker, depending on the strength of the tea. A good place to start as far as the number of tea bags is about 6 to 9. This will give you a nice color. Of course, it also depends on the size of fabric you have. The more fabric, the bigger the pot and the more tea bags you will need. Dilute the tea with water as needed to completely submerge the fabric you are dying in the basin. If you want darker or more vibrant colors, do not dilute as much. For softer vintage looks and pastel colors, dilute the tea. Dampen the fabric and completely submerge it in the tea solution. The longer you soak the fabric, the deeper the color will become. Start by soaking your fabric for at least an hour, checking it from time-to-time to see how the color was developing. Remember that the finished project will not be as dark as it is wet. You may also have spots in your fabric that are lighter than others, creating a marble effect. After the fabric has reached the desired hue, remove it from the tea-solution and rinse it with a weak solution of vinegar and water to help set the dye. Dry the fabric flat on a pad of white paper towels. Iron it before it is completely dry to remove wrinkles. If you are using wet tea bags to change the color of your Cross Stitch fabric, then begin by soaking the bags or use previously brewed tea bags. Protect your working surface with cardboard or wax paper, if needed. Make a pad of white paper towels. Dampen the fabric and lay it flat on the pad of paper towels. Press the cooled tea bags in a random manner across the fabric. I used several tea bags, but you could also soak the bag between pressings to add more liquid. Once you have created the marbled look you want, rinse the fabric in a weak vinegar solution to help set the dye. Dry the fabric flat on a clean pad of white paper towels. If wrinkled, iron before completely dry. Once your fabric has dried, it is ready for your stitching project! Get adventurous! Try different colors and strengths of tea. Make sure you keep a journal of all the teas that you try, this will help you recreate the color at a different time. Include notes and a swatch of the fabric so you know what the color will look like. Tea dyeing fabric is a wonderful way to make one of a kind creations. You can create beautiful hues that will add depth to any cross stitch piece. From vintage shades to bright whimsical fabric, tea dyeing fabric is the easiest way to achieve various colors of the rainbow.